Water resistant sunscreen claims ‘meaningless’, says Which? Water-resistant sunscreen products work much less well after they have been worn in the sea, a consumer group has warned ahead of the summer holiday season. Which? tested two products claiming to be water resistant and found the sun protection factor (SPF) dropped by up to 59% after 40 minutes in salt water. Cancer Research UK welcomed the study, warning no sunscreen is 100% effective. But a group representing sunscreen makers called the research alarmist. Current UK tests allow manufacturers to claim a sunscreen is water resistant if the SPF drops by as much as 50% after two 20-minute periods of immersion. The tests are carried out using tap water. However, Which? said its more rigorous tests in salt water, chlorinated water and fast moving water – conditions typically found on holidays – exposed “serious flaws” in the testing regime. It said the SPF of one well-known international sunscreen dived by 59% after 40 minutes of immersion. Reality Check: How does sunscreen work? How do sunscreens and lotions protect us? And a popular own-branded product fell by 34%. “In reality, sun protection is likely to drop even further – factors such as reflection from water, heat, light, sweat, towelling and rubbing all reduce the protection of sunscreens,” Which? said. Overexposure to ultraviolet (UV) rays in sunlight is the main preventable cause of skin cancer, according to the charity Cancer Research UK. 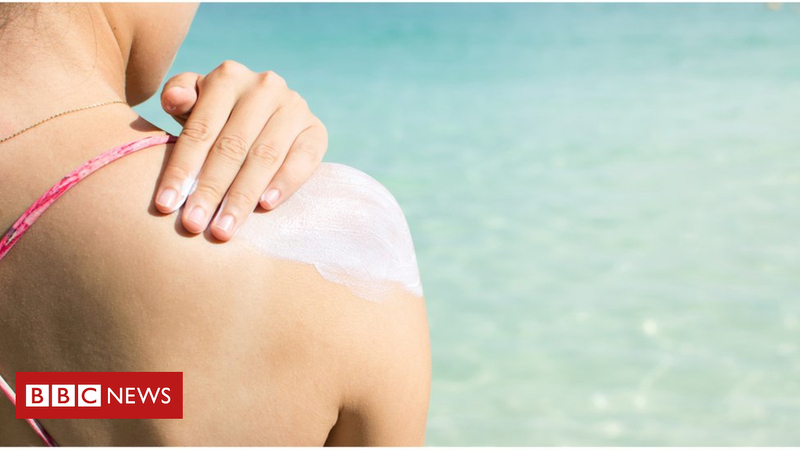 However, the Cosmetic, Toiletry and Perfumery Association (CTPA) said Which?’s findings were flawed and consumers should have confidence in water-resistant sunscreens. Its director-general Dr Chris Flower, a chartered biologist, said current testing methods worked well. “In fact an SPF 30 product will stop approximately 96% of UV rays reaching the skin and after robust water resistance testing the product will still filter out at least 93% of the sun’s UV rays,” he said. Which? called for tougher regulations like those in the US and Australia, where the SPF on a product’s label must be the SPF it provides after immersion. It added that UK water-resistance tests were “unrealistic to the point of being meaningless”. Cancer Research UK says it is essential when using sunscreen to put plenty of it on “to get the protection listed on the bottle”.